Irvington Community Schools / Posts / IPA and ICMS Music Students Go for the Gold – and Get! 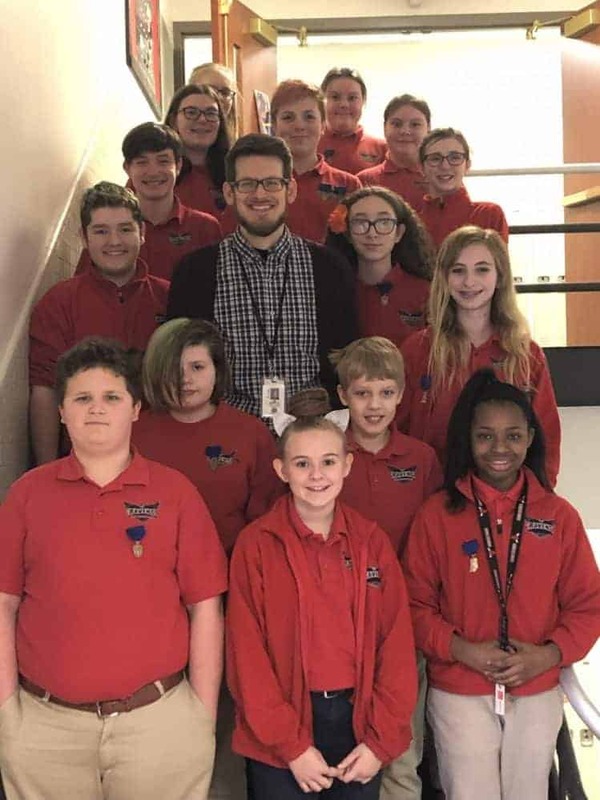 Irvington Preparatory Academy / Irvington Community Middle School Music Teacher Jimmy Wingett led his students to gold on Saturday, February 2, at the annual Indiana State School Music Association (ISSMA) Solo and Ensemble event, held at New Palestine Intermediate School. The competition is open to any middle or high school members of ISSMA. Students can sign up to perform a solo on their instrument or they can arrange a small group (trio, quartet, quintet, etc.) to perform as an ensemble. At the event each student is judged by a professional musician on a specific set of criteria in nine categories. Rather than competing against students from other schools, each student is essentially competing against him- or herself. “Students earn a gold rating if they score anywhere from 9 to 13.5 points, and each of our ICMS and IPA performers did well enough to secure a score within that range,” Mr. Wingett shares. It’s worth noting that not much class time is devoted to preparing for the ISSMA competition, so students largely practice on their own. Parental inspiration helps, too. “I’ve been incredibly lucky to have such supportive parents of students in the band program throughout my time at ICS,” he says. The bottom line is, although Mr. Wingett helps whenever he can with preparation, his students’ performances depend on how much time and effort they put into it. ISSMA is an opportunity for ICS students to perform at the same venue with other outstanding student performers from some of the most highly respected middle and high school music programs in Indiana. This includes much larger school districts, such as Warren and Lawrence townships. ICS has been at ISSMA for less than 10 years, so the reputation as a music program “powerhouse” isn’t established. But ICS is making its mark. “I see our program’s youth as a real opportunity,” declares Mr. Wingett. “I do my best to set our students up to walk into these experiences with professionalism and tact, such that, regardless of the outcome of their performance, they are living The Irvington Way and shaping people’s positive outlook regarding our band program and school.” Yet not only are the Ravens demonstrating character along the way, clearly, they are more than holding their own as young musicians. Raven proud!